This custom has been done to be displayed along my Hellboy R custom. 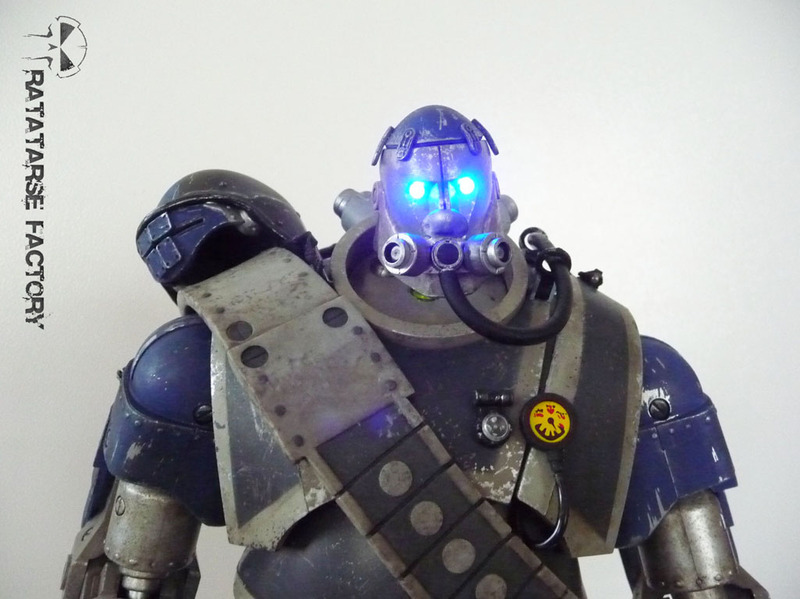 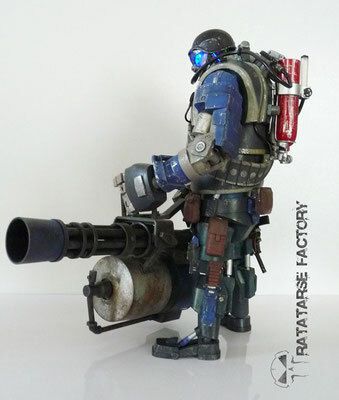 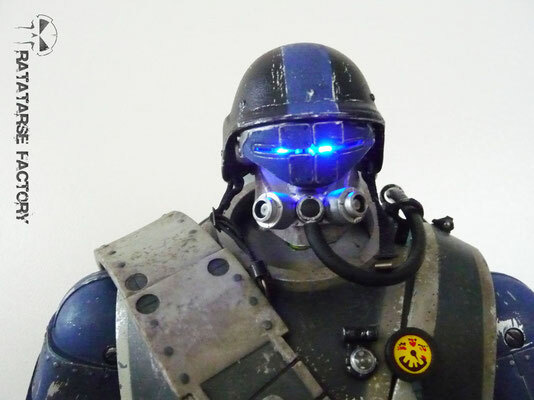 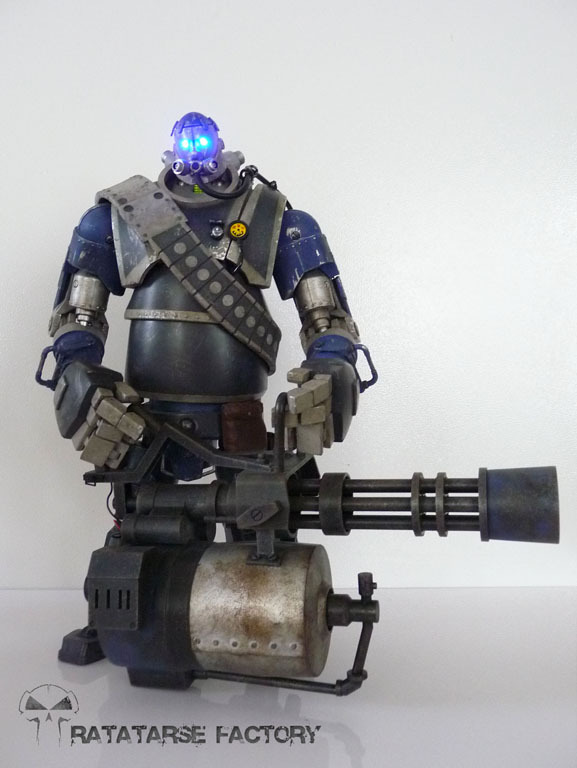 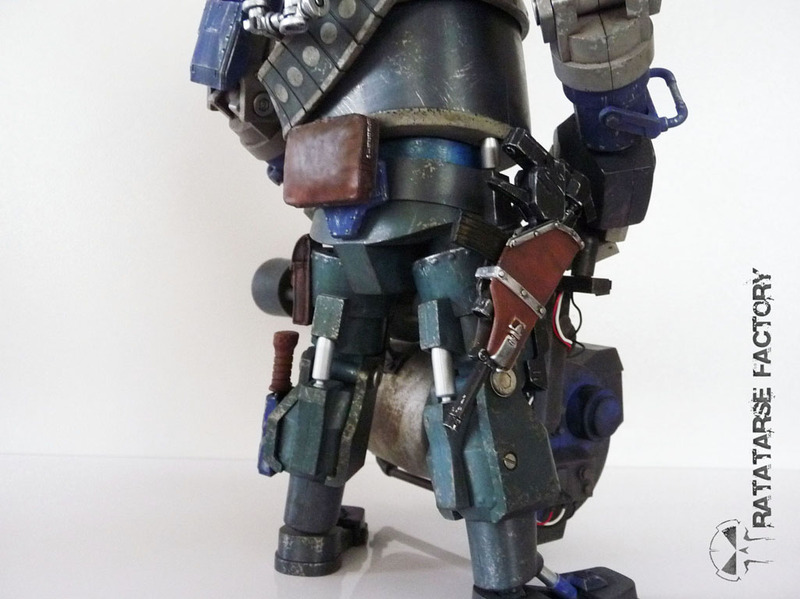 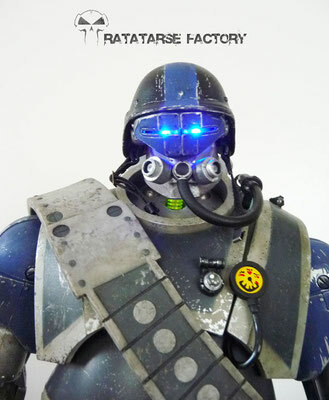 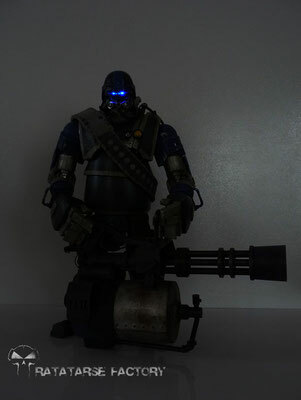 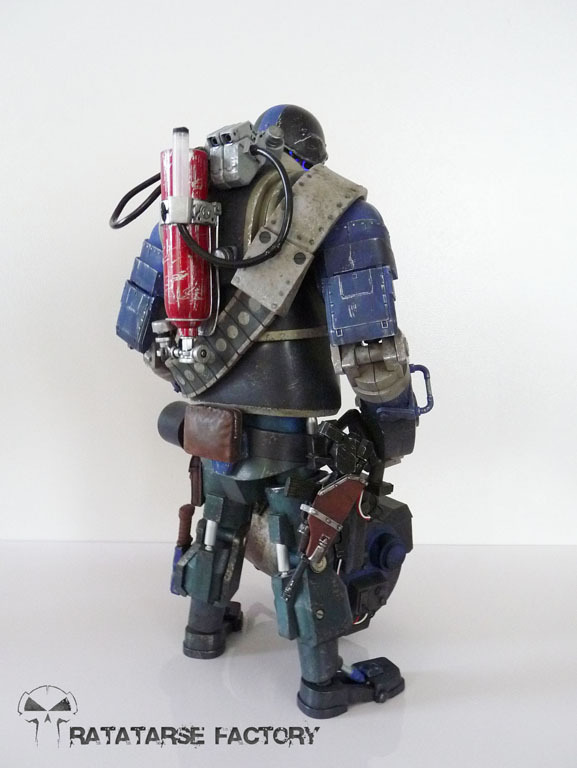 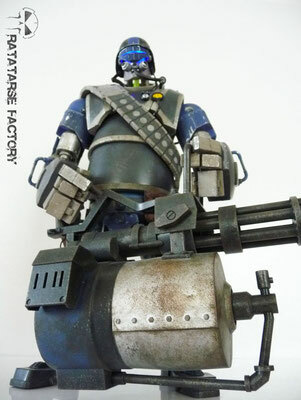 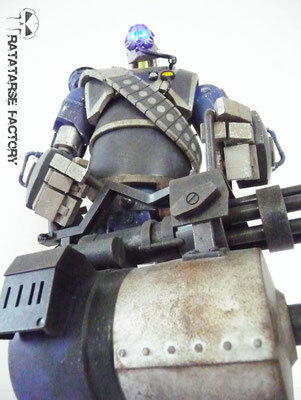 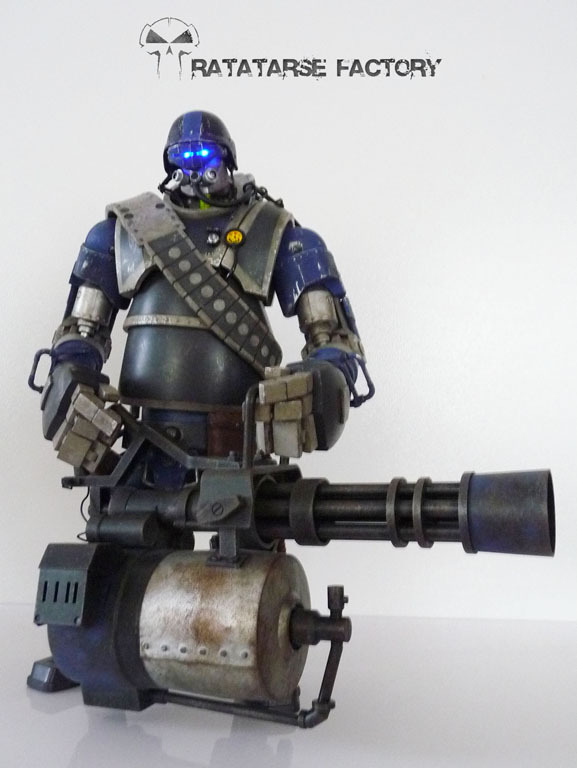 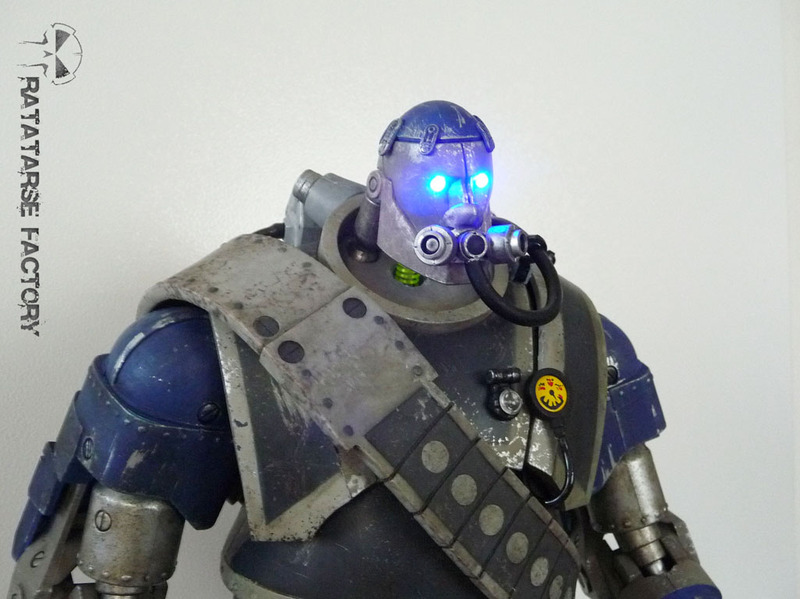 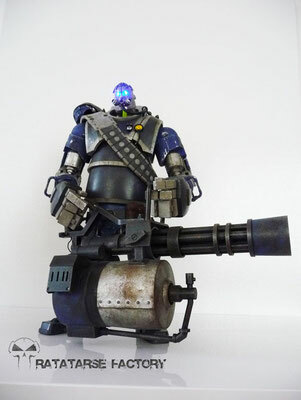 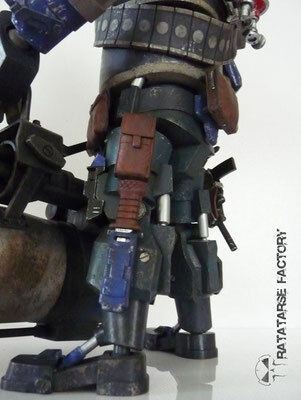 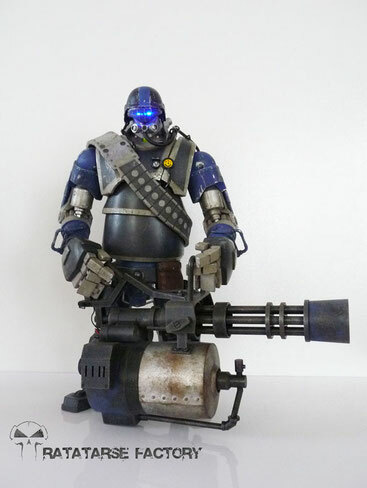 I took an old 3A "Heavy Blue" from "Team Fortress 2" franchise, and modified it with plenty of accessories. 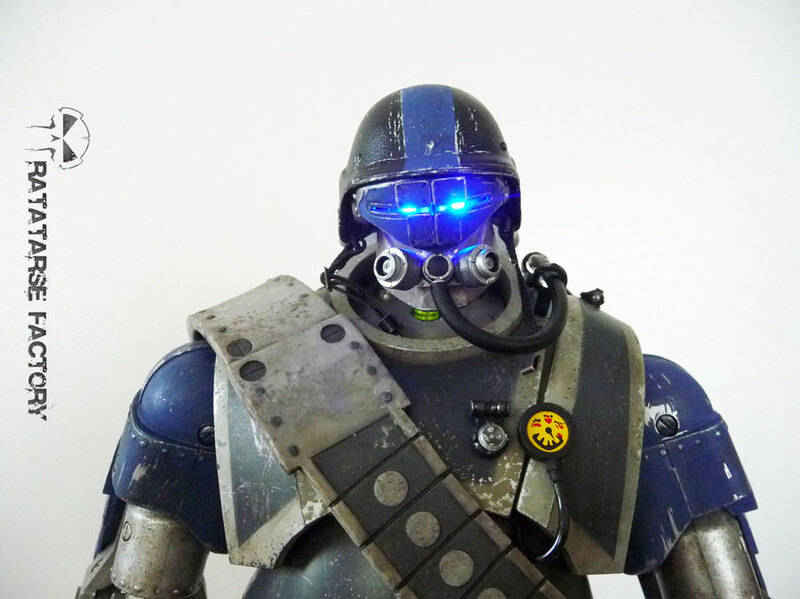 Making him as a Bio-mechanoid initially designed to be used in water combat, this biomech has a humain brain connected to its robotic circuitry. 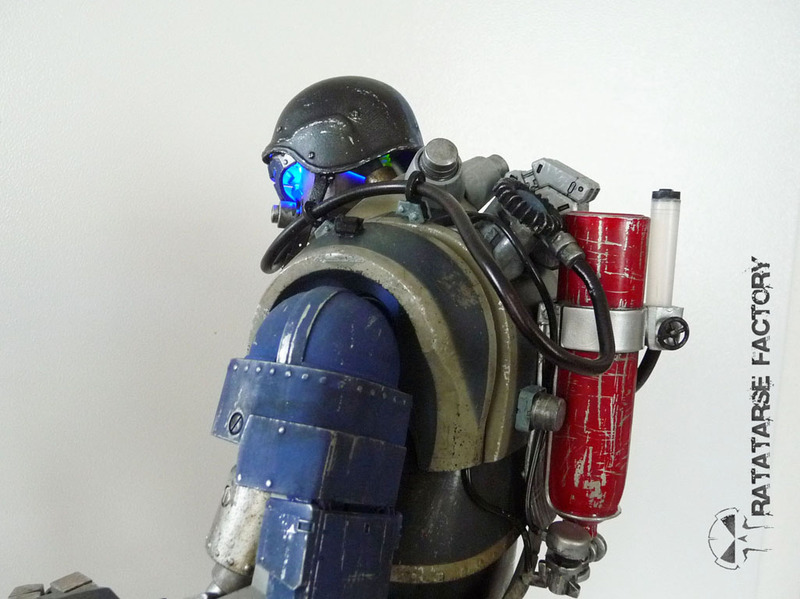 Paintjob has been done with airbrush and brushes, acrylics and oils. The lightup was present but needed a real cleanup to work properly.